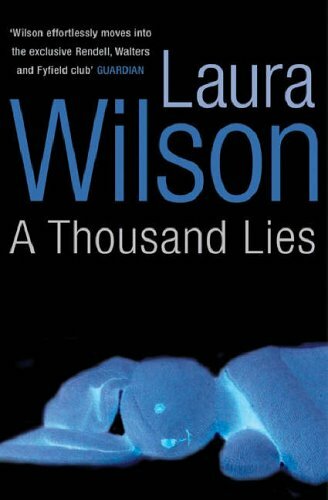 Compared to your average family, MI6 is a fount of openness and candour and the two related families in Laura Wilson's A THOUSAND LIES harbour more secrets than most. Amy Vaughan, daughter of a charming scoundrel of a father and a very angry mother, was the victim of 'Munchausen by Proxy' syndrome, and her mother kept an album of photos of Amy, apparently at death's door, that she used to try to manipulate her husband into doing his duty. Sheila Shand's life up until the age of 36 was even more dire - her father, Leslie Shand, was a sadist and sexual abuser. His reign of terror ended in a blast from a shotgun and Sheila was given a suspended sentence for the killing because, as the judge said in his ruling, her entire life to that point had been punishment enough. When Amy clears out her mother's house following her death, she finds evidence that she is somehow related to the Shands, of whom she had never heard. Amy is an investigative journalist and sets out to discover what the familial connection is and what happened to that other family. Her task is, however, complicated by the return of her wandering father, who claims to be dying of cancer, and by the appearance of long buried body in the woods near the Shand home, where Sheila still lives. Wilson is striking in her ability to invest the utterly ordinary with sinister associations; it would be hard to view a packet of Angel's Delight pudding with total complacency after reading this book, let alone listen to a recording of 'The Laughing Policeman'. Her characterisations are strong and vivid, though I had a little trouble accepting Amy as the experienced investigative journalist she is supposed to be - she veers too close to the vulnerable female to be entirely comfortable in the role. The plot is cunning without being overly contrived and the book holds its focus right up to the final pages, where it slips a little too close to chick-lit for my taste. A THOUSAND LIES has been shortlisted for the Duncan Lawrie (formerly Gold) Dagger and is certainly a worthy nomination.